Over the years, the MathConcept approach has helped many students to understand and appreciate math. Our group of elite mathematicians and mathematics educators has spent years on scheming, developing, and refining this approach based on their math teaching experience. Let go of all the memorization and traditional repetitive methods, we build math knowledge through introducing and connecting different math concepts in a way that makes sense. All students in MathConcept start by taking a customized diagnostic test which accurately shows what they know and their learning needs, so they won’t be wasting time reviewing concepts they already know. The MathConcept Diagnostic Test consists of two parts – a written test and verbal assessment. The written test evaluates each student’s specific skill area that needs to be mastered and we will analyze their strengths and weaknesses in each area. 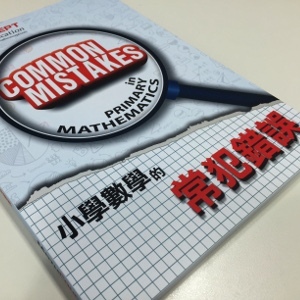 The verbal part assesses on each mathematical concept and math sense, revealing any hidden problem that blocks the way when working on ‘trickier’ math. Assessments continue throughout the student’s MathConcept tuition. They are regularly given to keep track of the progress and making sure the student retains the concepts and skills they have learned. By analyzing on their assessment results, we assemble a tailored learning plan that pinpoints any math concepts your child needed to know in order to reach specific learning goals. Tutors then utilize our all rounded materials by combining verbal, visual, and tactile instruction techniques to ensure your child masters these concepts. All MathConcept tutors are professionally trained to implement the learning plan and guide all students to their way of mastering each concept. We ensure that our tutors are familiar with our approach and have the ability to deliver complex math concepts in a language that kids will understand. Most importantly, each of us cares about your child, we will do our best to provide a happy learning environment that encourages kids to develop an interest on math.